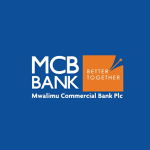 MCB is a commercial bank incorporated in 2012 and is headquartered in Dar es Salaam Tanzania. The genesis of MCB came about as a result of the conditions prevailing in the market at the time of it constitution. It was realized that a number of banks and financial institutions are not easily accessible by teachers` or offer costly products, teachers` required an alternative means to overcome the challenges hence, the teachers`, through Tanzania Teachers` Union (TTU), and the economic wing of TTU, the teachers` Development Company Limited (TDCL) made a decision to establish a bank to serve them and the general public by ensuring minimization of costs of operations while providing affordable and diverse financial solutions. With the objective is to empower teachers MCB came to DSE to raise capital under the Enterprise growth market by issuing 50,000,000 shares at TZS 500 per share.